Updated Version 2 offers 8 channels of control! To get the most radio for your money, check out the new 6K - an easy-to-program flight system with versatile functions that include telemetry, S.Bus/S.Bus2 compatibility and 30 model memory. With Version 2 updates, it's now a better value than ever. 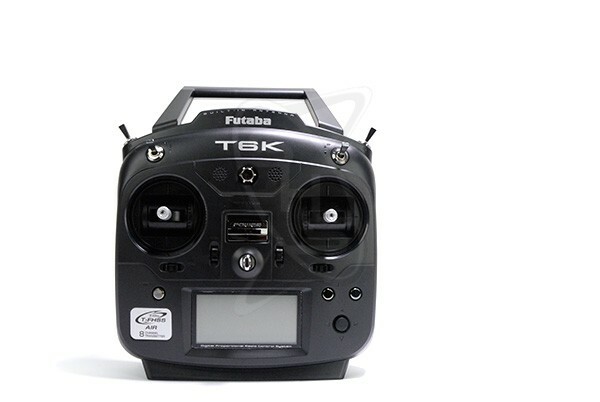 The new 6K is an 8-channel system with additional telemetry functions, expanded multicopter flight modes and much more. The versatile 6K meets the control needs of a wide range of R/C pilots! 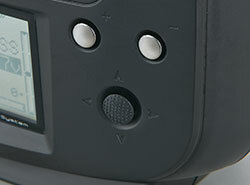 Program navigation is easy and intuitive with the jog dial, +/- pads and end pad. 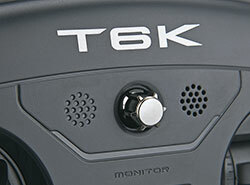 The 6K is a full-range system. 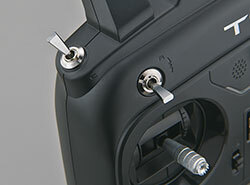 Its antenna is inside the transmitter case for safety and convenient handling. This variable rate dial can be programmed for a variety of functions. A speaker provides audible alerts and cues for navigating the programming menus. Four assignable switches (three 3-position and one 2-position) offer maximum flexibility. 6K Version 2 multicopter programming has been expanded with five Priority and nine Matrix flight conditions. The nine Matrix flight conditions can be used to set up a tilt camera by assigning nine settings to two 3-position switches. The included R3006SB receiver has six standard PWM ports plus S.Bus and S.Bus2 ports. You can use S.Bus as the main link to your servos or a combination of the ports. 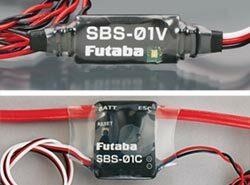 The S.Bus2 port allows bi-directional communication with T-FHSS Futaba air transmitters and the use of a wide array of telemetry sensors. Owners of 6-channer 6K systems - download the free Version 2 firmaware update here. 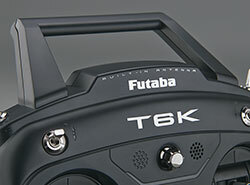 The new 6K is an 8-channel system with additional telemetry functions, expanded multicopter flight modes and much more.